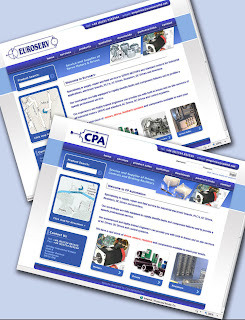 Sister companies CP Automation and Euroserv have launched new Web sites, which outline the two company’s supply, repair and field service offerings. The two sites, www.cpaltd.net and www.euroservltd.net, detail the wide range of drives, motors, resistors and associated peripherals both companies offer, as well as their rapid fault identification and component failure analysis systems. The two companies specialise in the sale, repair and maintenance of industrial electronic boards, PLC's, AC drives, resistors, DC drives, encoders and inverters. The product range extends from simple, general purpose drives to mission critical systems requiring uncompromising control, enhanced intelligence, and high-speed communications capability. Both companies are entirely independent of any single manufacturer, instead boasting relationships with a host of suppliers including Control Techniques, Cressall Resistors, Emerson Industrial Automation and Gefran. As a result, CP Automation and Euroserv are able to offer the best, un-biased advice on any industrial automation application.